The Scout trailer model line, by Bravo Trailers, may be an entry-level, flat-top trailer, but it's not a "throw away" trailer. A Scout trailer is work ready with standards like .030 thick aluminum skin, 16" o.c. wall posts, 3/4" drymax floor, 3/8" interior sidewalls, protected wiring, side door, sidewall vents, clear LED interior & exterior lighting and much more. Scout is a great value in enclosed cargo trailer design, yet built to stand up to years of use! 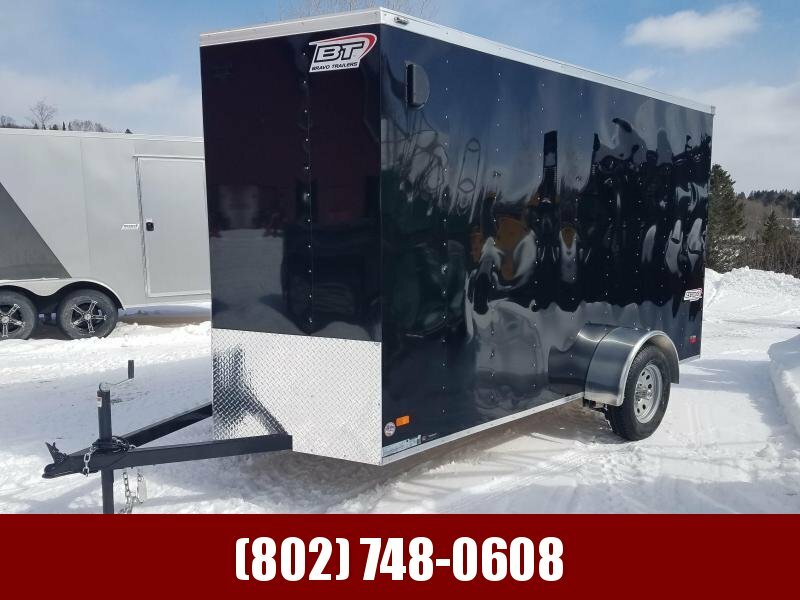 Features From tubular steel construction and professional welding, to premium rims and plywood sidewalls, Bravo trailers are built better. Compare an entry-level Scout trailer to the competition's mid-range cargo trailer and you'll see a Scout by Bravo still comes out on top! Bravo trailers are built by professionals who actually use the trailers themselves. Racers, hobbyists, and tradesmen - we at Bravo know what our customers demand from a quality cargo trailer. So we know how to provide the absolute best in workmanship and quality at the lowest cost. See for yourself. Standards All of our Scout cargo trailers come standard with the following features, with additional options available.